This Arbiter Fuzz Face Clone is based on the classic Dallas Arbiter Fuzz and uses your choice of either NOS Germanium (AC128) PNP transistors or Silicon BC588 PNP Transistors and is powered from the negative rail (must use a different adapter from pedals that take 9V center negative power, ie. Boss and One Spot). 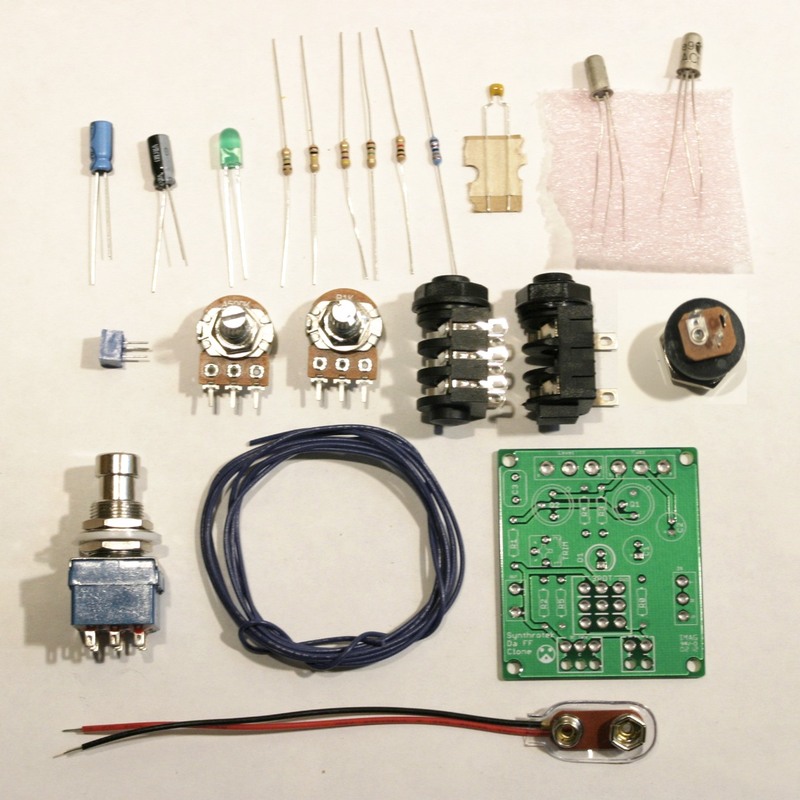 We also have the Face the Fuzz, which uses your choice of either NOS Germanium (AC128) PNP transistors or Silicon BC588 PNP Transistors as well BUT it CAN be used with standard CENTER NEGATIVE Boss or One Spot style adapter and CAN be daisy chained other like powered pedals. We also changed the output capacitor to pass more bass which gives a “fuller” tone. 3 controls – Fuzz, Level, and internal trim pot – for precise biasing and tone control. Fuzz sends your tone from subtle to razor blades and Level adjusts your output level for boosts. On-board trim pot lets you adjust your output transistor bias level for a variety of new Fuzz tones! 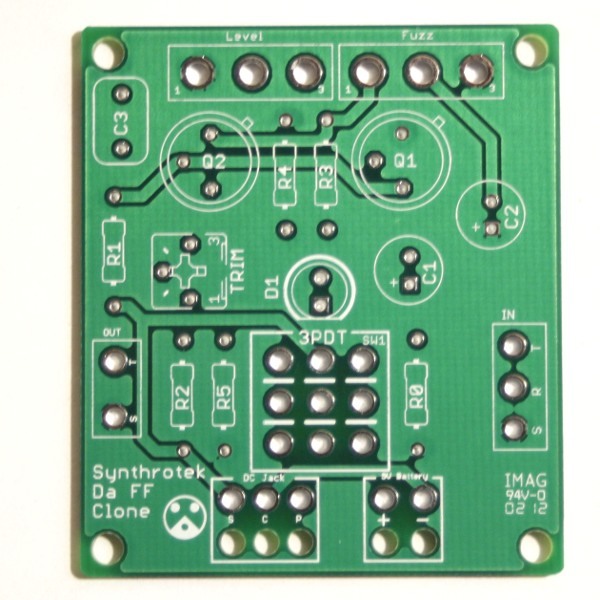 PCBs are professionally manufactured and designed here at Synthrotek. PCB silkscreen, through-hole components with careful on-board placement, and wire-tension relief holes were designed with the DIYer in mind! Will this kit fit in a 1590B enclosure?